Just as people use technology to collaborate on projects across great distances, they demand physical spaces that foster shared efforts both within and between companies. Increasingly, multiple companies are sharing the same workspaces to save on rent or promote collaboration. The features that support collaboration include open floor layouts, glass walls, and moveable partitions to reconfigure the space in flexible ways. It’s also critical to offer technological equipment that facilitates meetings. For example, can an employee easily use a laptop to deliver a presentation to colleagues or clients? A work environment is also more attractive if it offers multiple options for meeting locations. Sometimes, employees might conduct meetings in a more traditional conference room. Other times, they’ll want to hold a brainstorming session while seated on comfortable sofas in a relaxing environment. Especially when employees are working longer hours, they benefit from on-site amenities. These include areas for meditation, a coffee bar, a fitness room, and even a small theater. A well-designed space will also lift people's spirits, give them a boost in energy, and promote creativity. Spaciousness, plenty of natural light, vibrant colors, and interesting geometric patterns for walls, carpeting, or windows can all contribute to a richer atmosphere. Even in an age of technological sophistication, people still react favorably to items beautifully crafted by hand and conveying a bit of creative quirkiness or old-fashioned charm. Vases, plant containers, mirrors, and furniture can be used judiciously to make the work environment more inviting and give it some more character. For the sake of protecting the environment and cutting down on energy costs, buildings are increasingly being constructed to abide by the standards of Leadership in Energy and Environmental Design certifications. Sustainable design generally involves the greatest possible reliance on renewable materials and a reduction in excessive water use, energy waste, and other practices that negatively impact the environment. The principles of green architecture can also become part of the aesthetic of a commercial space. Rooftop gardens, living walls of greenery, and a greater number of plants on the premises promote environmental health while also affecting people’s mood in a positive way. A modern office doesn’t have to be located in a conventional office building. Nowadays, as companies search for affordable and attractive space, they may want to make use of buildings that once served a different purpose. A structure that was once a factory or a warehouse may become a vital, modernized workplace. Creating a work environment in these older spaces has potential benefits beyond practicality. Adaptive reuse can make a work environment more memorable. The office takes on unique aesthetic qualities and becomes connected with an interesting story. Which Trends Will You Adopt? All of these trends have the potential to increase the value, beauty, and function of your commercial spaces. To determine how they can be applied to your specific needs, don’t hesitate to reach out to a reputable, cutting-edge architectural firm that specializes in commercial projects. 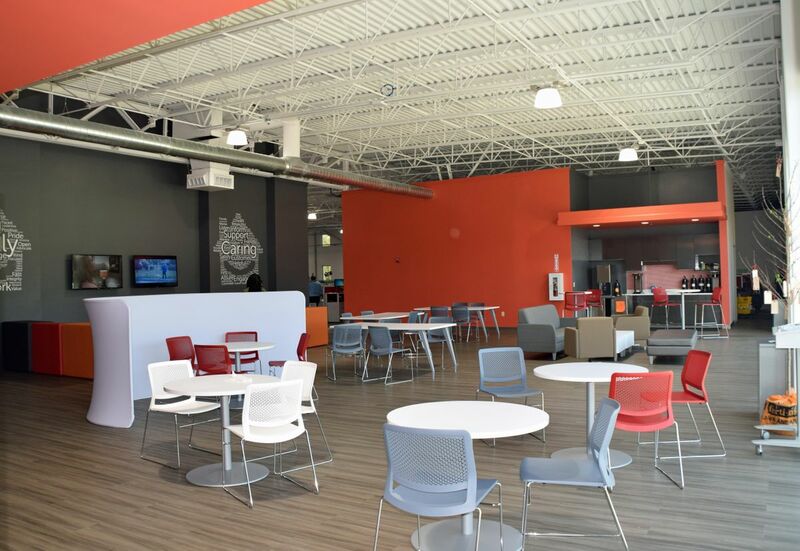 Artech has the experience and resources to create one of a kind corporate spaces. Check out our portfolio of commercial projects to see the award-winning projects we have designed.